“Every passing day is frightening reminders of how I could possibly lose my child if I don’t arrange money for his surgery on time. I can’t imagine to let him go." Sivagami and Balamurugan were thrilled when they got pregnant. Unfortunately, the prenatal screening tests and scan during her 5th month revealed that their baby has a heart disease. They refused to believe the reports and were hopeful that their baby will be born healthy. Unfortunately, their baby was born with a congenital heart disease and is now fighting for his life. Sivagami and Balamurugan have a 4-year-old son Badrinathan who is perfectly healthy. They do not have any family history of heart diseases. Sivagami couldn’t bear to talk about pregnancy without bursting into tears. She was completely shattered when her newborn son was diagnosed with a heart disease. "He was struggling to breathe. I thought he was dying when his little body turned into blue color. The doctors said he can live if he has a surgery now." Ever since the diagnosis, Balamurugan could hardly sleep or eat. He has been running from pillar to post to arrange for the money. His elderly parents who had very little savings contributed everything towards the treatment. With the given time in his hands, he can hardly imagine funding the surgery that can save his son's heart. Balamurugan is a carpenter earning just Rs 4000 per month. 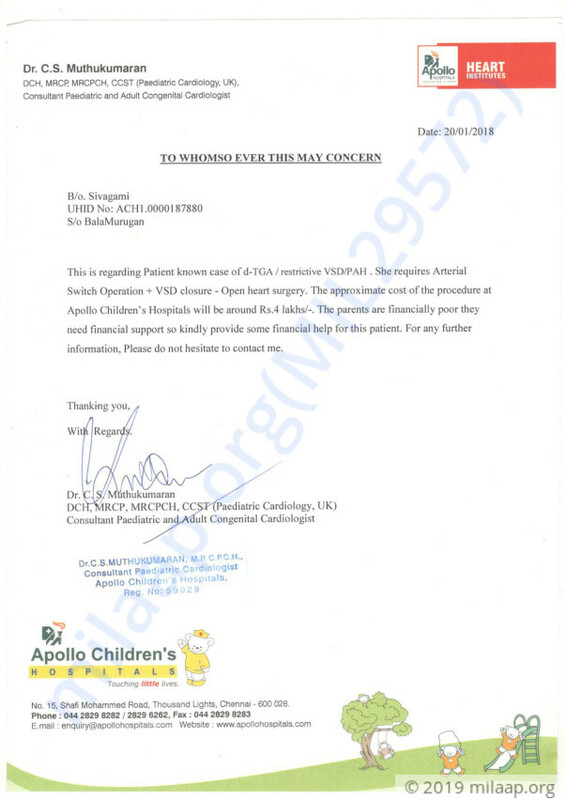 His son needs an urgent open heart surgery to survive. This surgery is estimated to cost Rs 4 lakhs which he cannot afford. Unfortunately, Sivagami and Balamurugan are running out of time. Only your contributions can help this baby to survive. 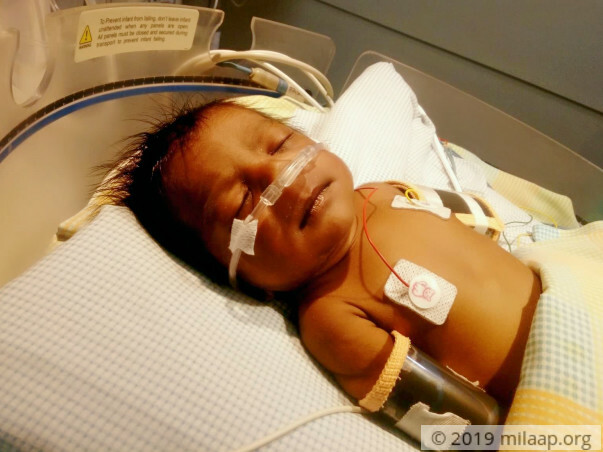 Baby of Sivagami was discharged from the hospital in the month of February and currently he's at home with his parents. There has been considerable improvement in his health and he's active now. Doctors will monitor his growth for few months. This couldn't have been possible without the support of you all, thank you so much for the love which you have towards the baby.